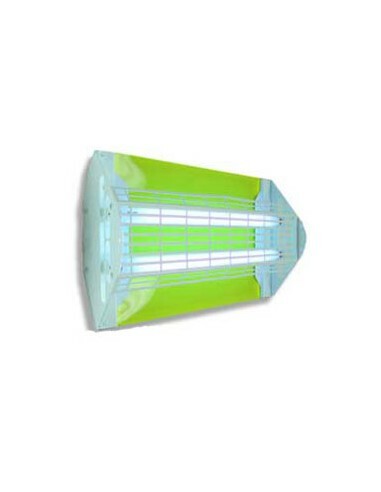 The unique "open" design of FlyTrap Professional ensures that direct UV light is visible from every angle. Efficacy - FlyTrap Professional incorporates the most insect attractant high powered tubes, proven to be 60% more attractive than standard tubes. The unique "open" design of FlyTrap Professional ensures that direct UV light is visible from every angle. 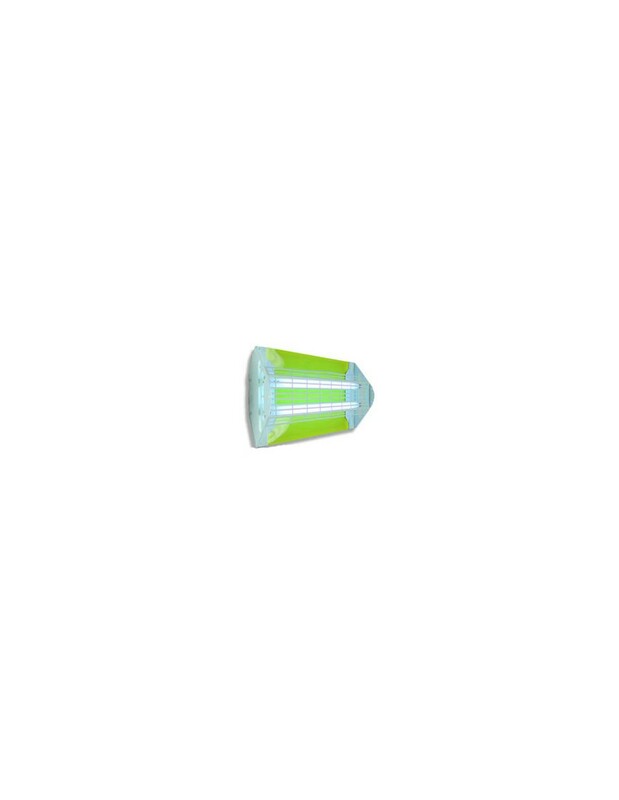 Serviceability - FlyTrap Professional's design allows easy change of it's pheromone impregnated gluepads, which are supplied in both highly attractive yellow and discrete black for situations where a disguised catch is required. FlyTrap Professional can be set on a tabletop, placed on a tabletop corner upright, ceiling mounted (hooks not included) or wall mounted. FlyTrap Professional is the most versatile unit on the market, ensuring suitability for every professional application. FlyTrap Professional Dimensions: 8.5" x 12" x 6"
FlyTrap Professional Coverage: 860 sq. ft.